Ufologists in the Ural region of Russia have been called in to assist with the disappearance of an 11 year old girl three months ago after conventional investigations failed to solve the case. Investigators with the Ural UFO Group have noted that it is likely that a UFO abducted the girl, Lisa Hlupinoy. On 16 August 2009 Lisa and three boys of the same age left their homes in the town of Salda to wander through nearby woods. At some point they all got lost. After three days the boys were found however Lisa was not with them: after a period she was assumed dead and police started suspecting murder at the hands of her companions. The boys vehemently denied the charge. No trace of Lisa’s body has been found as of yet. 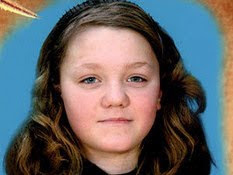 I have been asked about this little girl who it is rumoured may have been abducted by a UFO. Obviously, Tarot is going to take that into account but it is also going to give its advice which I have to hope I can convey as accurately as I can. Tarot looks at past present and future so please remember to read the notes as to how it 'works' in terms of its advice. Going back now to this little girl, the first thing that I want to say is that I am very interested in UFO information and often write Tarot that considers mysteries. I therefore am NOT the type to dismiss anything like that out of hand but I also will not promote this idea if Tarot does not seem to back it up. Firstly this King could describe a chariot of the winds with armour and grey nimbus clouds beneath. Whorling. Thats a good description for a UFO isnt it? With this particular story, I do not find Lisa on any database for the missing. I like to see that before I write anything because time is involved and I dont have the time to chase supernatural stories of the missing unless they are PROVEN to be a true missing person. That sounds harsh, but there are many people out there who are registered as missing people. The only way I can look at this story is completely neutral. Not expecting anything at all I see that this King of Swords is giving us a Military man. This card is also 'humanistic'. Therefore we are dealing with another HUMAN. First, there is something very strict and stern about this King. One, he can be a father, two he can be a medical person or three he can be a boss or a commander of communications. This card is linked not just to the air but also to water rocks and stone as well as canyons and the word 'con'. I can see the two boys in the cards, tarot will quite happily illuminate the story that is given because it picks everything up, but this suit of cards tells us that we need to brainstorm this 'thing' and be logical about it all and it tells us to throw out the old stories and THINK AGAIN. Therefore I do not think it wise for me to confirm this girl was taken by a UFO. Yes, I can see how that might appear to be the case, the lights that are described etc, but I rather feel these could also be attributed to be helicoptors or aeroplanes or a big searchlight so it is very much a fine line of consideration. I do not know anything about the area this child allegedly disappeared, I cant even find it on a map so Im hoping Dee can help with that, we have terrible trouble getting maps up in foreign countries the reason being, that some of the names might correspond with tarot descriptions but the language barrier does not help us to connect them very well. However, all that being said, what we need to note is the 14. The 14 can be a route but it can also add up to 5 it could also be timing or distance. (again a map would really help me right now). This King automatically shows us a MOUNTAIN. It also shows us a Crown and linked to the STAR might show us TSAR which might point out Russia to us. We also have a link to the Ten. Ten is sitting next to 'mental confusion' and 'disorientation' or mental illness. But that aside we have this Ten which is clearly showing us a riverbank or a muddy element and that we might have hurt ourselves or our head for that matter. Injuries can occur neurologically to the spine, the back, the neck, the shoulders or the head and suggest we 'fell down'. It appears to be night time. I am just going to run with the story that is given. The swords would show someone that was 'stuck' near some water in a slightly isolated way. There is a building but it is some distance from this person. If for example these boys mentioned were found in a cabin then this card would suggest that this child might be EAST of that at some point. Again a map is needed and I will try to see if Dee can bring one up for me to make extra comments. If there is anything 'negative' about this King it would be VERY negative and there would be NO evidence because it would be either stashed away or hidden altogether. Also witness statements can be very circumspect should those negative attributes arise. On the face of it though our King is upright and I would see here a uniformed Military situation. It is also true that abduction/kidnap or running away or trying to escape can come up in these cards and this leaves us 'stuck'. There are 'church elements' of some description and teaching of lessons or someone has advised us about something. Rules and regulations stand out on the King of swords and they deal with things if they are called to do so. Bedrooms (or names with bed, could be riverbed) can come up and so can a blanket (COVER) and grandparents? Skipping forward keywords that link to landscape or vicinity or 'names of places' would be deep wells, quarries, mines and places that are involved in the extraction of minerals from the earth. Also there might be land that has recently been dug. Hills, or land that is uneven aviation or experiments in that field can come up but also as we are looking at something HIGH if we should have to consider buildings then it would signify . roof, attic rooms, eaves, or places high in a house. Other links or keywords are fountains, springs, vineyards and water of course which could even extend to taps, showers and power supplies. There may be energy/scientific connections. Other Keywords capturing similar things are deserts, woods, obscure valleys, caves, dens, holes, mountains,, church-yards, ruined buildings, coal-mines, sinks, dirty or s muddy places, wells and houses or offices. Possibly not a spaceship then? I see a lot of imagination especially if a light were shone at us but you never know? Person description might be of middle height, pale complexion, small dark eyes, black hair, broad forehead, big ears, thick lips/nose, possible minimal beard growth. Stooping countenance. Shovelling which suggests digging dirt or mines or mining area? Day of the card is Saturday. Airports. railways and sometimes golf courses can appear in these cards. Three moons shining bright and butterflies seem to signify lights and flying things. Might corroborate this 'story'. However, we have a mountain here and someone in a vehicle which might be something that flies. Remember that Tarot will pick up the information that has been reported as well as give us further thoughts and advice. This suit of cards can tell us that a man and possibly a woman went somewhere with a child. That possibility is here. The suggestion in Tarot shows that two people saw that and stood by and said nothing a military area is not far away or is nearby. Here I have the World reversed. As a location card I doubt it is anywhere as exotic as 'down under' ie Australia, what I would say here is that this child is linked to the past and somewhere that is connected to her. I have often seen basements in this card or being 'under something'. This card is number 21, from this we get a 12 or we get a 3 adding the figures together. Very difficult to show you a direction as what we do have here is a circle. There are 30 years attached to this card and I have no idea how or why that is linked it might just be our number 3. I wonder if this girl should be linked to home or home ground, ie, home in respect of what would be constituted as home to her. Generally this card might give a South direction but it is reversed so North and South may come up here. Keywords that might come up for vicinity or land description are farms, farming equipment, wood stores and possibly where farm animals roam. Fallow or bare land, barren fields, land that is bushy and thorny, it indicates being 'low down' and can bring up dark places. Water or water elements can come here or just names of places that might indicate boats/ships or storage places for mariners. Walls, garden fences, gateposts and international borders can be seen on this card. Church yards or church names, winter months and being confined or in confined spaces can also show up. Waste disposal comes up here too. All the other descriptions and keywords for person/place apply that are in the first card so it is best to re-read that and combine with this card. There is a lack of security in this card and a fear of moving on. This is an earth card. This card is regarding search and find. 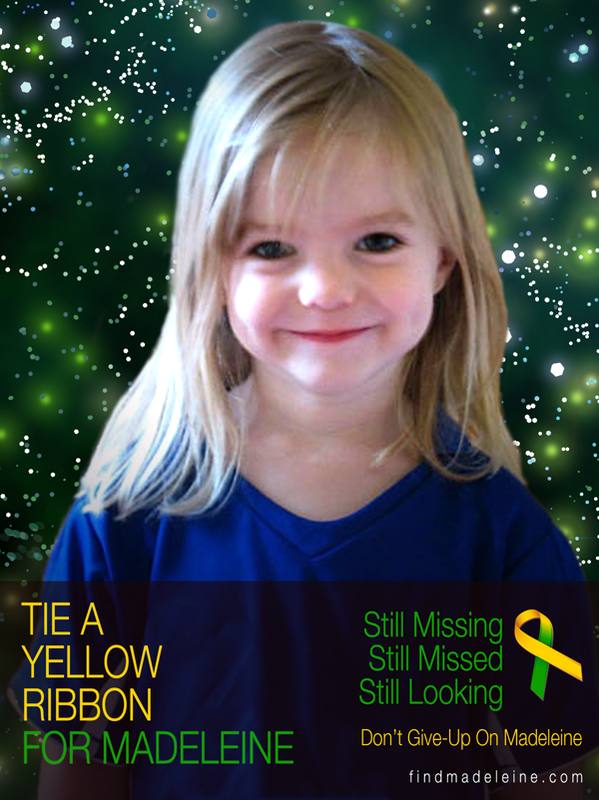 If we are to understand this is a true story about a missing child then all the stops will be pulled out to find her. Notice the 'completion' element with the 9. So thats a bit strange. However, this card will give us a 9 whether for distance, timing or route. We are near a town with rolling hills and trees. There are water elements possible to the South West or South I can see boats or maybe it translates into names of places that link to that. I also see 'mind games' so thats also a bit strange. However, I can see a wall up. Whether that is symbolic or not I cannot say. Perhaps there is a delay to finding her or that news of a find is delayed. I am seeing red tape on the issue. I am seeing mountain ranges or mountains and some airport or airport strip within a boundary. I would imagine this girl will be found albeit depending on the authenticity of the story. There is a vehicle/transport of some description involved here possibly. Heat /fire. Words connecting to stables or horses. I see military references and vehicles connected to them and much detail as written in the other two cards. A house on a hill over rural ground, country? with a river or stream running through. Somewhere aircraft land or pass over to an airport? It might be best to combine and read all the information together in past present and future mode. I will just leave the information here and we shall have to see what occurs regarding it. Please remember Tarot offers possibilities NOT FACT - fact can only be fact when something validates anything Tarot might have given. Regarding a UFO it is wise to consider that anything that 'flies' and cannot be identified is a UFO - that means craft that might not be recognised for whatever reason as to its origin that may also mean ' at the time'. It does not automatically mean that it is extra terrestrial. However an interesting 'ponder' and all things are possible are they not? UNTIL....proven otherwise.